Look no further than our company when you need your property’s roof repairing. Plus, for convenience, we offer a call-out service, so you can be confident that our expert roofers are on-hand to help in an emergency. At our company, we always go the extra mile, and our objective is to provide you a service that you would recommend to others. Contact our roofers in Otley, West Yorkshire, to discover more about our flat roof solutions. It is vital that your property’s roof is properly maintained to ensure it functions properly. Our skilled roofers expertly repair your roof to minimise the risk of other problems occurring. A leaking roof can lead to long term problems throughout the entire house, including rotten timbers, damp, crumbling walls and other structural damage caused by continual water ingress and bad ventilation. Leaving a leaking roof is the worst thing you can do as the problem can worsen and progress into a costly job to repair. Tackling the problem quickly means that your property’s value is protected as well as the remainder of the property. 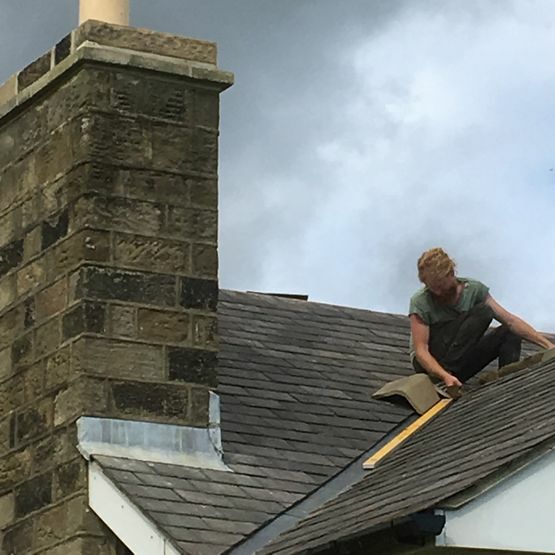 Contact our experts at our roofing company in Otley, West Yorkshire, to find out more about our roof repairs and flat roofs.